Enjoy a mouthful of your personal staff of Motherland java in this great Motherland ceramic travel mug. WIN! A coffee hamper from Motherland Coffee! I love coffee…seriously, if I could have coffee pumped into my system via an intravenous feed – I would. Now, Cape Town is pretty well known for its coffee shops, but now Jozi has a serious contended for the title of South Africa’s best coffee – Motherland. If you count yourself a coffee lover, but have yet to taste their rich, smooth and flavourful bean, then you can no longer use the title. But no worries, we have a coffee hamper (including a ceramic coffee Mug and a bag of their delicious coffee beans) up for grabs – courtesy of Motherland. 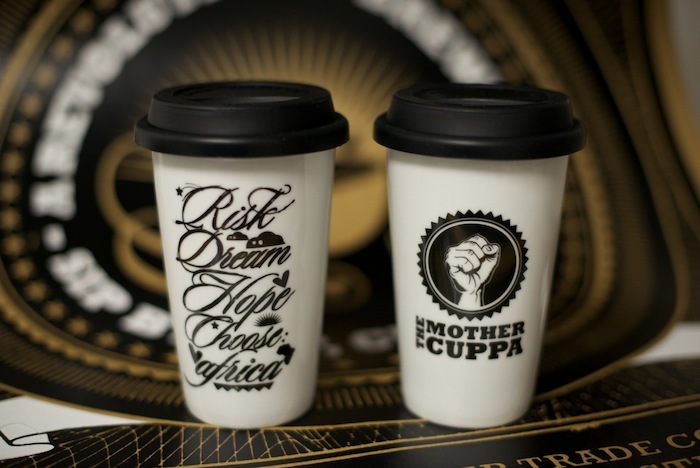 To enter, simply go to the Motherland Coffee website (Click Here), and find out more about the brand and their mission. Entries close at 12:00 on Sunday, 6 January 2013 Johannesburg time, and the winner will be contacted on 7 January 2013. Judges selection is final, and no employees or suppliers of Motherland Coffee may enter. Happy holidays with L’Occitane’s Winter Forest Scented Candles! The MANBOX! Now there’s no reason not to take care of your personal grooming.